We know that Frye read Ray Bradbury’s Fahrenheit 451, met him and then corresponded with him at least once (see “A Little Chrestomathy of Frye on Sci-Fi” in the Denham Library). We don’t know that he saw the film adaptation of Bradbury’s novel, but it does seem to be the sort of thing he might take the time to see. Despite the very limited special effects available at the time, it is an elegant little mainstream movie that we knew how to make in the 1960s, and then evidently forgot. It was directed by Francois Truffaut in his only English language film. Truffaut with minimal fuss creates a dystopian world characterized by compact but comfy suburban homes equipped with bigscreen TVs that provide unending interactive entertainment to fill otherwise empty lives; all of which rings true, as does his depiction of a familiar in-denial conformity that quickly morphs into furtive but willing collaboration. The mass-produced codex we call the book has served us very well over the last five hundred years. This makes Truffaut’s rendering of the incineration of thousands of books a terrifying sight it is difficult to forget, especially one extended sequence in which we watch in close up the covers of familiar books peeled away by the flames. It’s like helplessly witnessing a mass slaughter, reminding us that books are to be loved and cherished, if only because they have, in some form or other, proven to be the surest way the dead communicate with the living, and the living with the unborn. The film has an excellent cast. Julie Christie plays both of the women in the protagonist Montag’s life: his fully co-opted and prescription drug-addicted wife, as well as the tenacious school teacher who guides him to freedom. The end of the film is subdued and modest but very moving. It remains one of the most vivid movie experiences of my childhood: people quietly becoming the books they love. The rest of the movie is after the jump. It is in English with non-intrusive Chinese subtitles — which by itself suggests that dystopias like the one depicted here may remain probable, but they aren’t inevitable. This entry was posted in Saturday Night, Science Fiction on April 9, 2011 by Michael Happy. This entry was posted in Canada, Current Events, Politics, Popular Culture on April 9, 2011 by Michael Happy. Above is the original Lennon-Ono video of the song, the Stephen Harper cover of which Yoko Ono has compelled him to take down from YouTube. Listen to the song again and ask yourself if it has anything to do with Harper — beyond, that is, his desire to distract from a radical right wing agenda. Listen to the lyrics, and then think — billions more in corporate tax cuts in a country with one of the lowest corporate tax rates in the OECD, and tens of billions worth of jet fighters we do not need. Oh, and the prisons. That’s the one area of social spending Harper intends to increase: prisons. Not health care, not education, not support for the middle class and the poor. Prisons. Where, exactly, is the spirit of John Lennon in Stephen Harper’s politics? After the jump, those who are still allowed to post the song: Bill Clinton, Neil Young and Lady Gaga. 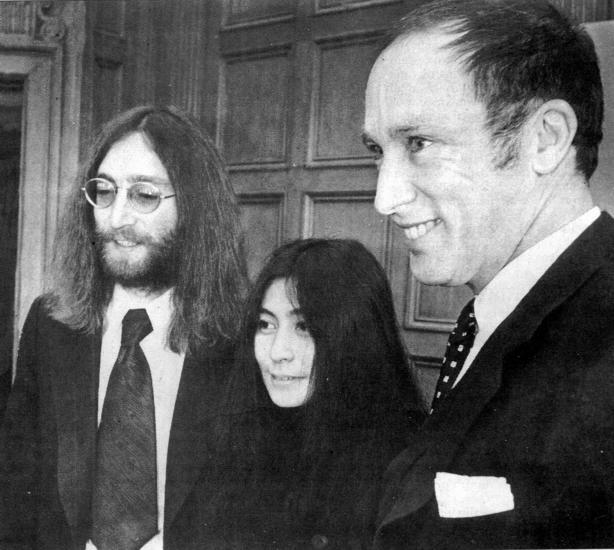 And, finally, an earlier post featuring Northrop Frye on John Lennon.